In 1856 - just as Darwin was completing "Origin of Species" - the fossilized remains of a stocky, powerful human-like creature were discovered in a cave in the Neander Valley in Germany. 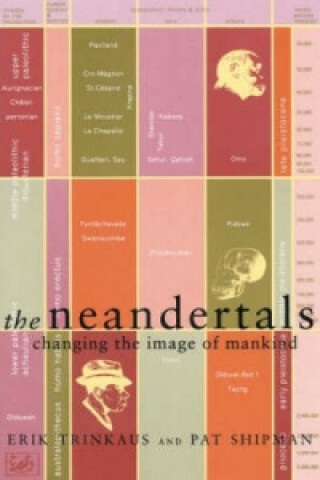 Opinions about Neandertal Man have veered wildly ever since: he was not human at all, but closer to ape, he was human but not ancient; he was a cannibal, a shuffling, depraved halfwit; and, an evolutionary dead-end, wiped out by more efficient and intelligent Cro-Magnons. The controversy continues to this day. Erik Trinkaus - the world's leading authority on Neandertals - and anthropologist Pat Shipman vividly tell the whole story, from the discovery of the bones to the latest research. Theirs is a brilliant first-hand account of the search for man's beginnings and out of a particular man - dead for 40, 000 years - who began a revolution that changed the world.